What is PERT and 3-Point Estimate? Estimation is one of the most basic concepts of Project Management. In fact poor and improper estimation is one of the main causes of challenged projects. There are many ways to Estimate. Some of these estimation techniques are specific to an industrial domain like software size estimation techniques. While other techniques can be applied to any kind of projects (or daily life activities) e.g. Analogous and Parametric Estimation. Let us concentrate on another estimation technique called 3-Point Estimation. 3-Point Estimation improves accuracy by considering uncertainty arising out of Project Risks. Expected Value (or mean) in a 3-Point Estimate can be calculated by using PERT formula or by doing a Simple Average. Let us try to understand what is 3-Point Estimate and what is PERT & Simple Average? PMP® exam has many formula based questions. Some of these questions are based on 3-Point Estimate. Many of these questions can be solved by using either PERT formula or Simple Average formula. Usually these questions are relatively easy to solve. The underlying concept, itself, is very simple. 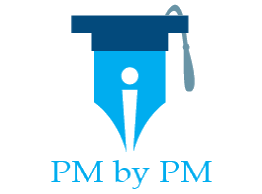 However, I have observed many PMP® Aspirants get confused by this topic. During PMP® Exam training, many students ask questions like “Is 3-point estimation same as PERT?”, “Why are there 2 different formulas for arriving at 3-Point estimate?”, “Which formula should be used to solve the questions in the PMP® exam?” et. el. I believe this confusion comes mainly due to the different terminology used by different Project Management authors. My humble suggestion is that if you are a PMP® Aspirant then you should follow terminology from PMBOK® Guide. All others sources of the information like books, websites and blogs (including this one) should be read with a bit of skepticism. You should follow other sources only if you find the information contained in these sources is conformant with the PMBOK® Guide. 3-Point Estimation is based on 3 different estimated values to improve the result. The concept is applicable for both Cost and Duration Estimation. 3-Point Estimate helps in mitigating the Estimation Risk. It takes into consideration uncertainty and associated risks while estimating values. The estimation can be done for an entire project, or for a WBS component or for an activity. There are two popular methods to arrive at the Expected Value (Mean). It is based on Triangular Distribution. The Mean can be determined by the following formula. PERT (Program Evaluation and Review Technique) is calculated using a Weighted Average. It is based on Beta Distribution. The Mean can be determined by the following formula. A 3-Point Estimation can be done using either Simple Average or PERT Formula. It improves the Estimation accuracy and reduces Project Risk. It provides a better result than just a Single Point Estimate. Why have they given 4 weights to M in PERT Formula? PERT formula has a statistical background. It is based on probability theory and statistics. Specifically PERT is based on Beta Distribution. PERT became part of Project Management literature after statistical and research findings. Historically 3-Point Estimate originated from PERT. PERT was initially developed by US Navy to take care of scheduling uncertainties. The formula mentioned above is a close approximation of Mean found by Beta Distribution. PERT is frequently used along with CPM (Critical Path Method) for Project Scheduling. Let us assume that our 3 estimates (Optimistic, Pessimistic & Most Likely) were 45 minutes, 225 minutes and 90 minutes respectively. You will notice that PERT estimates are more close to ‘Most Likely’ value. Some Project Managers believe that a PERT Estimate yields better results but I am yet to see a definitive research suggesting this. PERT and Simple Average are 2 of the more popular ways of arriving at 3-Point Estimates. I believe, both PMP® aspirants and Project Management practitioners should use PMBOK® Guide to understand Project Management Terminology. PMI is trying to standardize Project Management terminology. Many experts from various different areas have contributed content for PMBOK® Guide. The Guide is thoroughly reviewed before it is published. It is also updated with current trend and latest developments in Project Management. Which formula do you use to determine 3-Point Estimate in your projects? Why do use one method over the other? Please leave a comment. PERT is one type of 3-point estimating. PERT assumes that the underlying distribution is a beta distribution. The “simple average” that you mention assumes a triangular distribution. Thanks for enabling me to understand these strategies. I get it – Thanks! Thank you so much! Awesome explanation and easy to understand. i have read ur article but i m not understanding how did u calculated confidence level. Hi Sonali, Confidence level is derived from probability theory. You can search for “z score tables” to determine the Confidence level (probability values). If we have to select one project out of three projects. Which project will we select by using 3-point estimate? We have O,P,ML estimated cost for all the three. So which project will have less risk? 3-point estimation is not a Project Selection Method. You should read about various project selection methods like IRR, NPV, BCR etc. I have to agree with your statement. How do you calculate the pessimistic and optimistic values?? Most of the time, PMs tend to go with most likely estimates. But projects have inherent risks – both threats & opportunities. We should understand & evaluate these risks while estimating optimistic & pessimistic values respectively. Just remember the English meaning meaning of Optimistic & Pessimistic before doing the estimation. Pessimistic estimation would mean that almost everything will go wrong while Optimistic estimation would mean that everything will go right. 1. Bottom-up estimating is at activity level estimating and roll-up for budget. These estimates are for improving estimating accuracy and reducing risks. My question is whether THREE-POINT Estimating can be categorized as top-down or bottom-up estimating? The ans is neither. top-down and bottom-up can be used for any form of estimating. basic forms of estimating are – expert judgement, analogous (in old literature it is incorrectly called top-down), and parametric. Hi Zaitun, As written in the article, the formula is a close approximation of Mean found by Beta Distribution.